The Fairmont Designs Malibu Loveseat is a classic, cozy silhouette in velvety-soft fog gray fabric that will envelop you in comfort as you sink into the plush cushions. Four toss pillows and rolled arms complete the look of this stylish loveseat. Custom-order fabrics are available. Love the style but not the color? Choose from hundreds of special order fabrics available in our stores. Visit the Jordan’s closest to you to pick that perfect fabric. 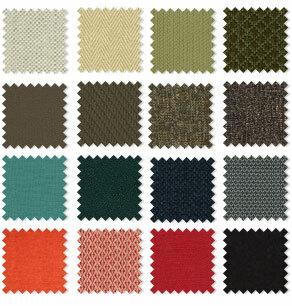 (Fabric Color options vary by product). Love the style but not the leather? Make it your own with special order leather options available in our stores. Visit the Jordan’s closest to you to pick that perfect leather. (Leather color options vary by product). Great and comfortable oversized chair! We love this chair. It’s very comfortable and the color is great. We also have children and spills and messes clean up easily.